Now that Spring is here, it’s time to ditch dry skin and get luminous, glowing skin. To help you look radiant from head-to-toe, today’s bathing beauty guide shows how to #GlowUp. From hydration tips to moisturizing skincare products (like the new Olay Cleansing Infusion line), learn how to get glowing this season. 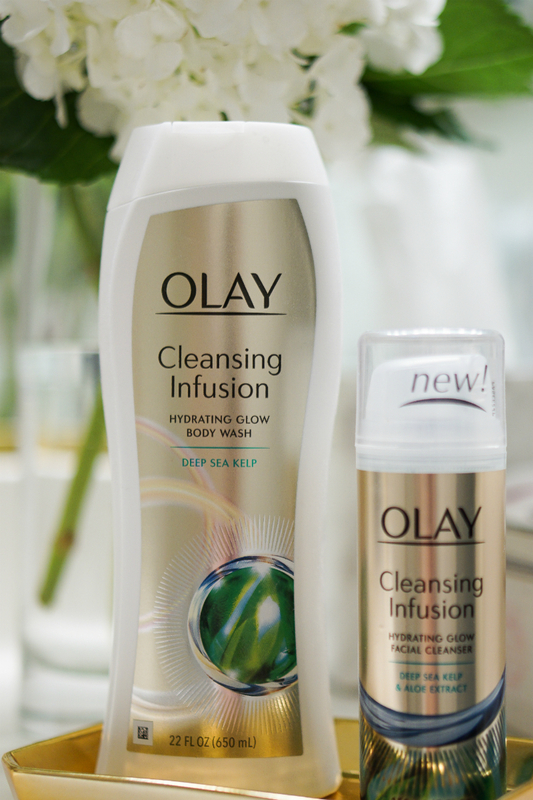 How Does Olay Cleansing Infusion Make Skin Glow? When skin is hydrated, it looks more glowy and radiant, as it reflects light better. Infused with deep sea kelp and aloe extract, the Olay Cleansing Infusion Hydrating Glow Facial Cleanser and Body Wash were developed to cleanse and moisturize skin, without stripping it of natural oils. These products also come in the Crushed Ginger Scent. The revitalizing ingredients help nourish skin, improving the texture and softness with repeated use. Plus, these face and body washes draw out impurities from the skin, leaving it feeling healthier and looking more beautiful. My skin never feels tight or dry after cleansing with these products. Instead, my skin feels refreshed and radiant. To make your face look dewy and fresh, wash your face with Olay Cleansing Infusion facial cleanser. 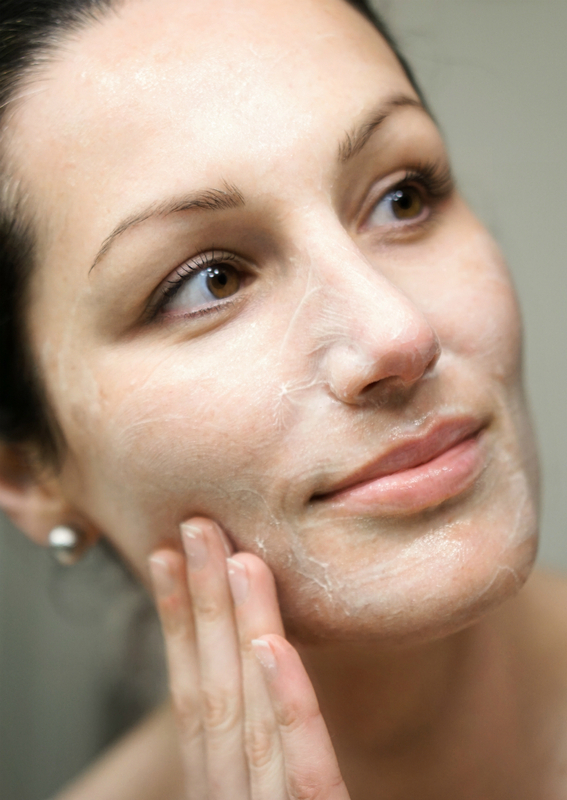 When cleansing your face, use warm water (not hot), to open up the pores without over-drying skin. Gently pat skin dry with a clean towel. How Does Cleansing Make Skin Glow? Cleansing is an important first-step in properly caring for your skin, by eliminating impurities from pores (which lead to breakouts, dullness, and congestion). 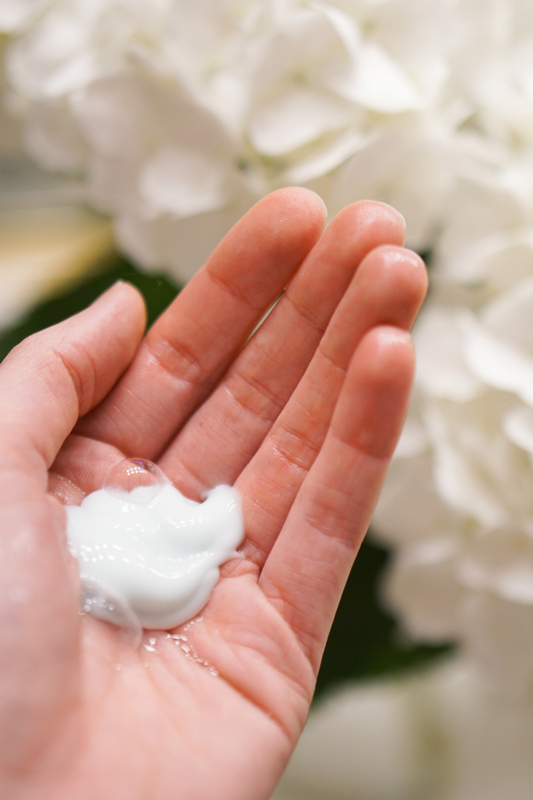 As you cleanse your skin with Olay Infusion Cleanser, you’ll notice it goes from a creamy consistency into a foaming, bubbly solution. This means the product is effectively working by cleansing the pores while hydrating the skin’s natural lipids. To get glowing, dewy skin on your body, use the Olay Cleansing Infusion body wash in the bath or shower. For extra soft skin, lather with a puff and then rinse. This will help to cleanse, exfoliate, and moisturize skin, leaving it soft and hydrated. Plus, it acts as a great emollient to lubricate legs before shaving, which helps get a closer shave. 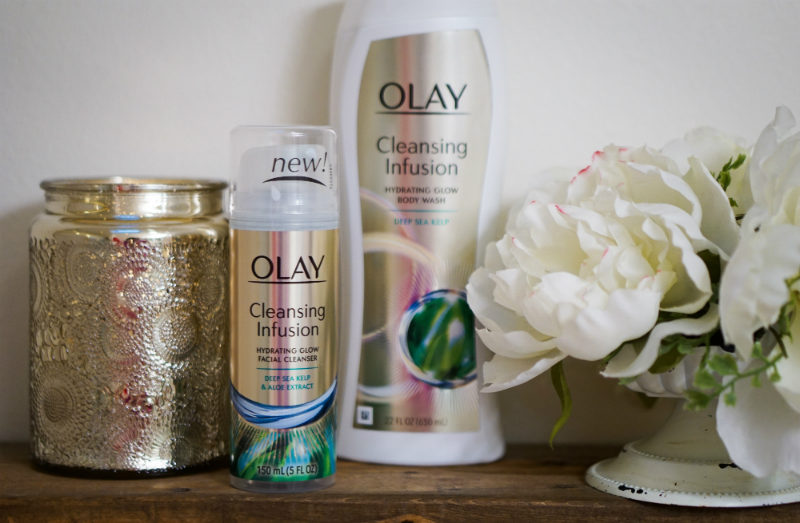 To get gorgeous, glowing skin this season, shop for Olay Cleansing Infusion at Walgreens.